Julie Bishop has visited Thailand, the highest-ranking Abbott government member to do so, but funnily enough she did not seem to want to see the refugee's paradise that is Cambodia. The military junta that controls Thailand is looking every inch a dictatorship. Life imitates art as Thai protestors emulate heroic protagonist Katniss Everdeen from The Hunger Games film franchise. Thailand has promised that it will return to some semblance of democracy -- in 15 months' time. Is the "roadmap to democracy" just a ploy? The current crisis in Thailand has a good deal to do with those who support Thailand's crown prince and those who want the princess to ascend to the throne. But you won't read about that in Thailand. Thailand's army has declared martial law and has taken over control of the government. But although the "red shirts" are likely to lose some of their power, they will not lose their political literacy. Red shirts and yellow shirts sweat it out in Thailand's tropical heat on opposite sides of Bangkok as ordinary Thais try to go about their business, ignoring the uneasy peace and presence of soldiers. Broken politics, martial law and another coup in Thailand? Protesters want Thailand's interim government to step down and an increased role for the monarchy. The interim government says it will do no such thing and is calling for new elections. And things are coming to a head. 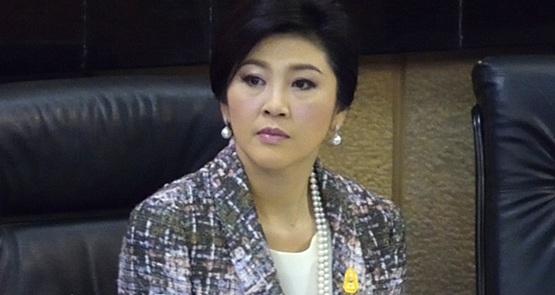 Yingluck Shinawatra has been kicked out after hasty court proceedings against her. Her supporters are calling it a constitutional coup by forces who want the royal family to have more power in politics -- and those who are sick of the Shinawatras.